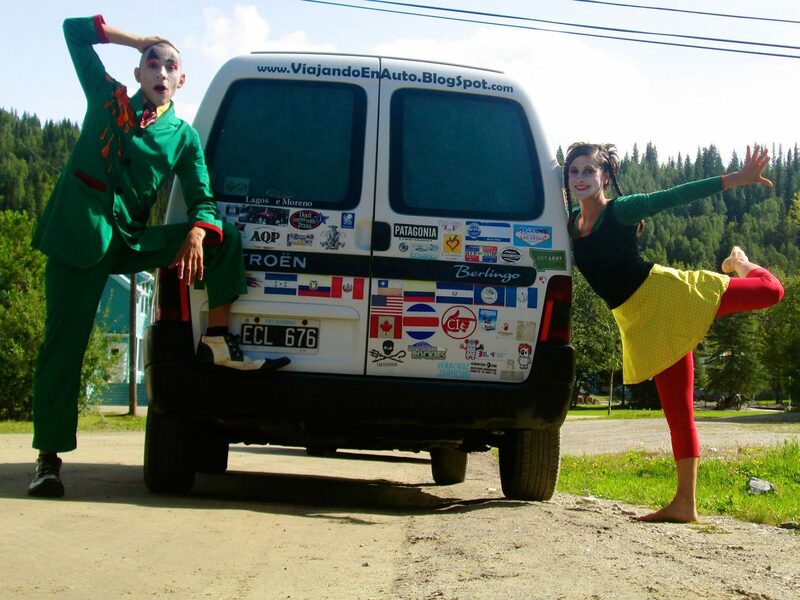 From November 2010 to November 2014 we did the TOUR IN THE AMERICAS driving our car from Patagonia Argentina to Alaska, United States presenting the show Mandragora Circus all through the continent. From Patagonia to the Aurora Borealis where 4 years of continuous journey in which traveled 18 countries, driven 70.000 km from the bottom to the top of the american continent. Taked part in more than 30 Theatre Festivals and presented Mandragora Circus in theatre, cultural center, school, universities in more than 150 places of South, Central and North America. We performed Mandragora Circus in the most diverse and contrasting stages. People from different cultures and countries enjoyed the show, in large and small theaters, in cultural centers and in indigenous communities. Beyond the differences in the cultures of the different regions of the continent, the feedback from the audience, the laughter, applause and emotions expressed after each show, remained the same regardless of the place in which the show was presented. The Tour for America began in 2010 in Peru and Ecuador. We perform in theaters and festivals in the cities of Arequipa, Quito, Esmeraldas, Baños de Agua Santa. We also went to the Amazonas region in Ecuador. There we traveled in a canoe for 18 hours to arrive in the indigenous communities which lives in the riverbank of the Napo and present the show there. In 2011 we continued the tour in Colombia and Venezuela. We cross these two countries performing in cities of the interior and in their capitals during one year. We toured the Caribbean coast, where we traveled from Puerto la Cruz, Venezuela to the Urabá Region in Colombia. 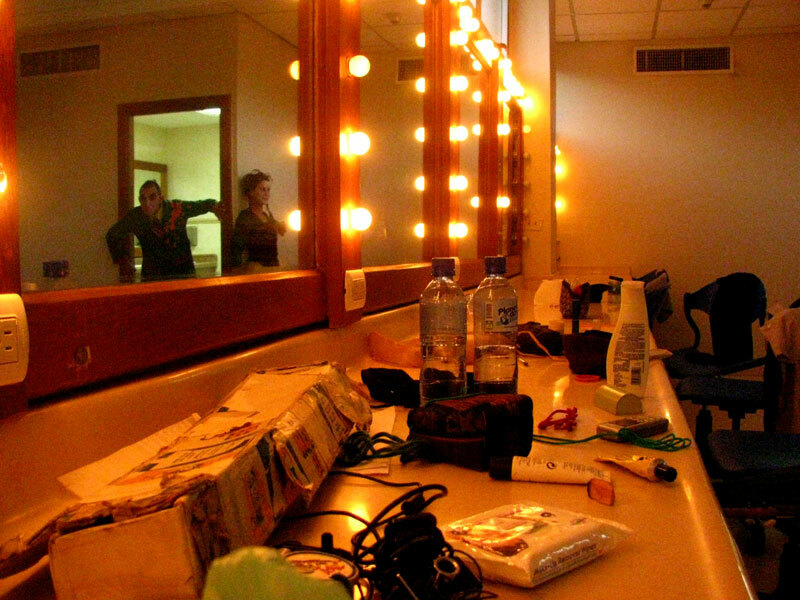 We participated in Theater Festivals in Caracas, Santa Marta, Barranquilla, Turbo, Apartadó and San Andrés Island. That same year we traveled to the island of Dominican Republic, where the show was selected to participate in the “Iberoamerican Theater Festival for Children and Youths of Santo Domingo”. At the end of 2011 we held a season of shows in the city of Cartagena de Indias, Colombia. From Cartagena we shipped the car in a container to Panama and continue the tour in Central America. In 2012 we arrived in Panama, we performed in the cities of Colon and Portobello, on the Caribbean coast and participated in the “International Festival of Performing Arts” of the City of Panama. In addition we toured the country during 3 months presenting shows also in the cities of David and Boquete, in Chiriquí. The tour continued visiting all the countries of Central America. Costa Rica, Nicaragua, Honduras, El Salvador, Guatemala and Belize. In each country Mandragora Circus was presented in theaters and cultural centers of the capital city and other cities, also touring the interior of each place. In August 2012 we arrived in Mexico through the southern states, Chiapas and Yucatan. In October of that same year we were invited to Bogota, Colombia. 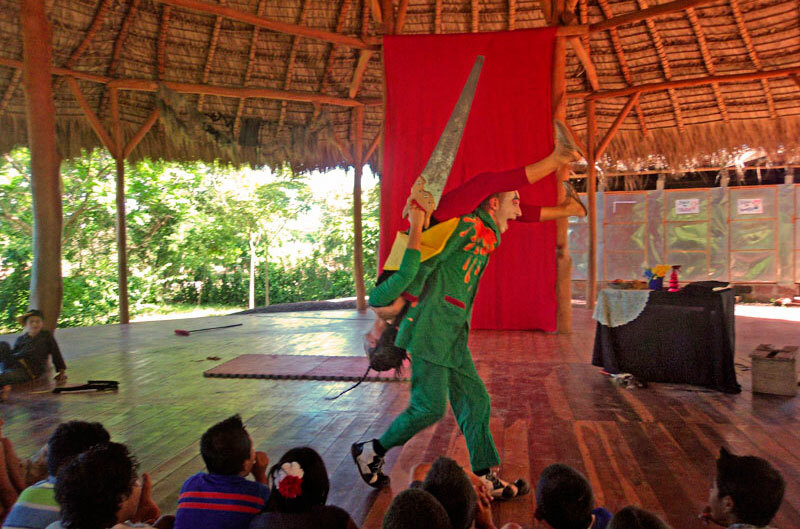 We traveled by plane to participate in the “Theater Festival for Children” where we present the show in the capital of the country and in the region of La Guajira, where the indigenous communities Wayúu and Kogi live. We returned to Mexico and continued traveling by car for this country for a full year. We held a theater season in the city of Cancun. We continue through the Riviera Maya and present Mandragora Circus in Playa del Carmen, Puerto Morelos, Tulum, Bacalar, Cozumel Island and Chetumal. We performed in the state of Veracruz and in the DF, where we present Mandragora Circus in the Zocalo participating in the “International Book Fair”. We traveled by plane to the border city of Ciudad Juárez, in the state of Chihuahua invited to participate in a Theater Festival. We performed in the states of Guanajuato, Aguascalientes, Xalisco and Nayarit. We traveled through the desert to the north of the country and bordering the border we arrived driving to present the spectacle in Ensenada and Tijuana, Baja California. In August 2013 we arrived in the United States along the Tijuana-San Diego border. We performed in San Diego, California and traveled for 7 days from one coast to the other coast through the country. We pass through the city of Las Vegas, the Grand Canyon of the Colorado, the states of New Mexico, Texas, Louisiana, Mississippi and Alabama until arriving at the state of Florida. There we present shows in Miami, Miami Beach and different cities in the south. We continue driving along the east coast of the United States. We performed in North Carolina, Washington DC, where Mandrágora Circus performed in “The Kennedy Center for the Performing Arts” and New York where besides presenting the show in Manhattan we presented in the city of Buffalo. In February 2014 we arrived in Canada in the middle of winter. We participated in a Theater Festival in Salaberry de Valleyfield, Quebec where Mandrágora Circus received the award for the Best Show chosen by the public. We present shows in the cities of Montreal and Toronto. In June of 2014 we continue the tour to the West of Canada. We present shows in the states of Alberta, British Columbia and further north in the Yukon Territory. We participated in Festivals in: Okotoks, Whitehorse, Atlin, Dawson City and Watson Lake. We were invited to participate in the Theater Festival of the city of Yellowknife, so we flew to the Northwest Territories. We drove to Latitude 66º 33 ’45 North, where the imaginary line of the Arctic Polar Circle passes and presented Mandragora Circus there in the Tombstone National Park. After 70,000 km and 4 years traveling in America in August 2014 we arrived in Alaska, in the northern end of the continent. 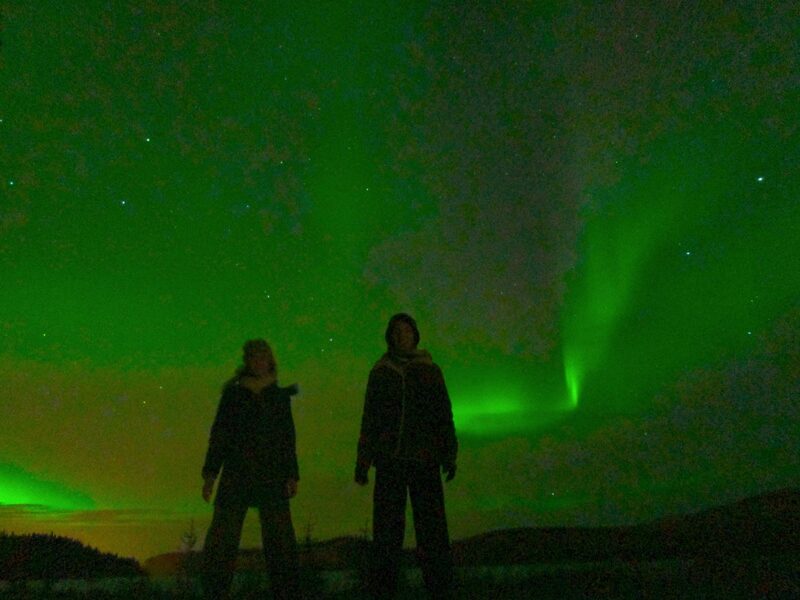 With the end of summer we found the Northern Lights s in the skies of North America. 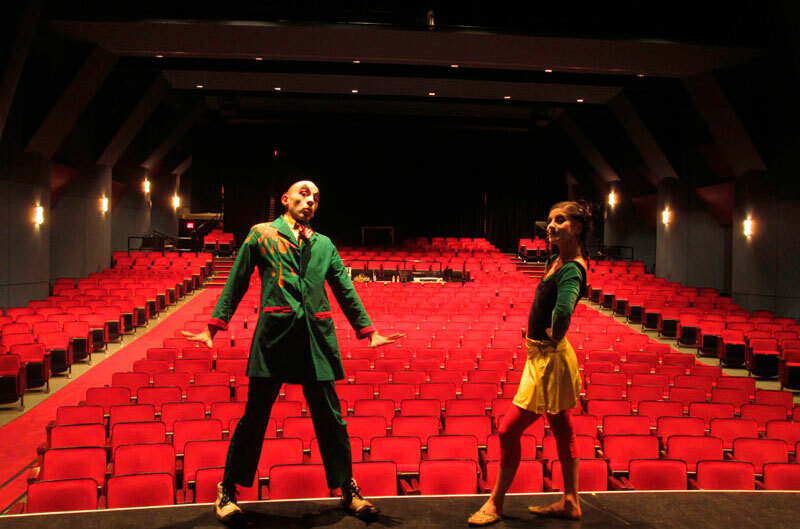 The Tour in the Americas continued to traveling south and and performing Mandragora Circus performances in Canada.